Migraines are very painful headaches where the pain tends to be on one side of the head. They can be disabling and may severely disrupt the sufferer's life. The two main forms are migraine with aura and migraine without aura. Both types usually involve pain in the front of the head, around the eye and temple regions. Various other forms of migraines may have an aura but one that is not visual. A retinal migraine may entail complete temporary vision loss, and pain centred around one eye. A basilar artery migraine tends to cause the sufferer to feel dizzy, confused or nauseous. This type of migraine is generally more common in young women and has been linked to hormone changes throughout the month. 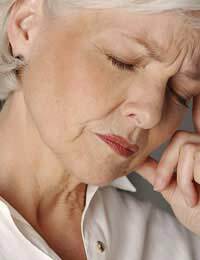 Ophthalmologic migraines, like a retinal one, involve pain centred over one eye and the muscles around the eye may even become paralyzed. Although an ophthalmologic is not a common type of aura migraine, it can be a medical emergency. A status migraine is a potentially very dangerous one where the pain lasts for more than 72 hours. The severity of the pain may mean the afflicted person requires hospitalization. This type of headache can be triggered by various chemical or environmental toxins or may occur as a result of medication withdrawal. An acephalgic migraine can also occur, and this does not include headache pain, but does include visual disturbances and other symptoms such as digestive discomfort. This type of migraine is commonly called a 'headache-free' migraine since it lacks the head pain that is characteristic of most migraines. Having a list of symptoms when you first visit your doctor may be helpful for him or her when determining which type of migraine you have. This will allow for a personalized preventative treatment plan based on your symptoms and the type of migraine you experience. You may also suffer from more than one type and your doctor will suggest ways to manage the pain with each one.